An exhibition of works by Red Centre aboriginal artists opened today at Mbantua Gallery Darwin. Titled 'Stars of the Centre' it features the work of Lucky Morton Kngwarrey among others. 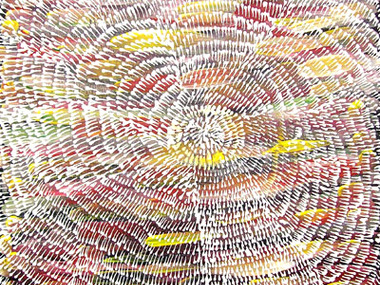 Lucky has been chosen as a finalist in the 2010 Telstra National Aboriginal & Torres Strait Islander Art Award (NATSIAA). 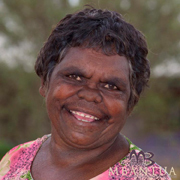 The exhibition is being held in Mbantua Gallery in the Smith St Mall and will run from 9-31 August 2010. Opening hours are 9am to 5pm Monday to Friday. News Categories: Australia | Exhibition | News | Posts | What's on?